about this book: "27: Six Friends, One Year" tells the story of friends who reunite in London, aged 27. Each of them is jealous of the others' success, but underneath the surface, their lives are not as perfect as they seem. The successful businessman fights addiction, whilst the woman planning her dream wedding chooses to ignore the signs that her husband might not be the man she imagined marrying. "27" follows a year in the life of the friends, as they each battle their own demons. Will they have the courage to take the decisions to lead the lives they truly want to lead? • "This is a fantastic read for the summer holidays. A genuinely lovely warm surprising story. I loved the characters and felt part of their journey. Can highly recommend." • "An enjoyable read for a generation who are obsessed with how others perceive them and who measure success in terms of job titles and relationship statuses." 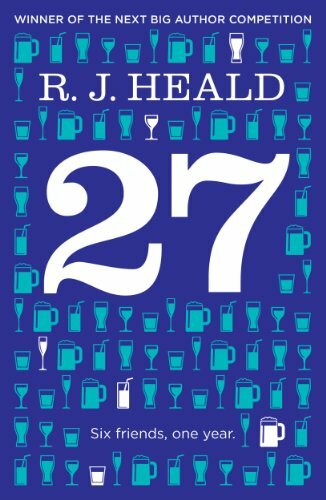 • "27 is one of those books that you really want to finish so that you can find out what's happened but on the other hand, you want it to carry on so that you can stay with the characters that little bit longer!"